Having an account allows you to access your personal area on our website and to trade with OctaFX. Once registered, please check your email to find out your personal area login details and trading account credentials. Personal area login details will allow you to manage your funds, get bonuses and take part in our promotions, while trading account credentials are used to access trading platform. Login to your Personal area to make a deposit. At OctaFX you can start trading with a minimum of $5 although the initial deposit can be higher. According to Risk Management strategy, the more funds you have, the less risks you are exposing yourself to on a particular trade. We don’t charge any commissions on your deposit and our withdrawal systems work efficiently to help you withdraw your profits. The web based platform requires no installation and allows you trade from any device anytime. To sign in, click File->Login, enter your account number into “Login” box, along with your trader password that was sent to your email address into the “Password” box and select OctaFX-Real, if you sign in with a real account. Alternatively, you can trade from your desktop, iOS or Android device. You can compare platforms here. To open an order, you can simply select the volume of your position and click the Buy or Sell button. 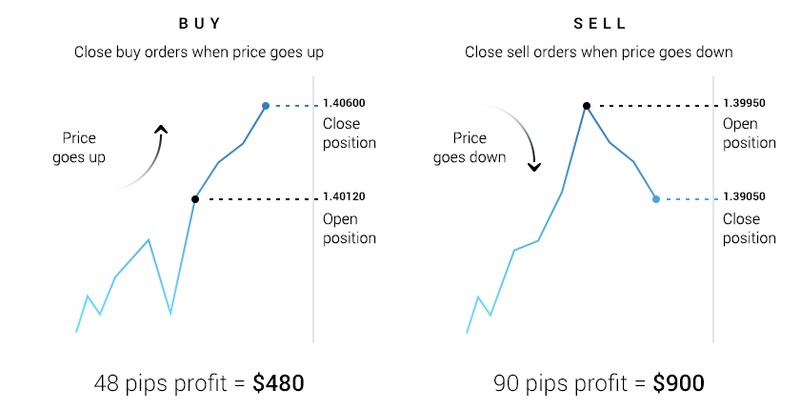 Basically, you open a buy order if you expect the price to go up and open a sell order when you expect the price to go down.That means that you buy a certain amount at a lower price now, in order to sell it back at a higher price later and gain profit from the price difference and vice versa. If you have a trading account with $500 and 1:500 leverage, your open position for 1 lot (100,000) on EUR/USD, when the value is 1.13415. The required margin for this position is $226.83, almost half of your account value. Each pip movement is worth $10 to your trade account. Therefore, the value only needs to fall to 1.13145 for you to lose nearly all of the money in your trade account. With volume of 0.5 lots, however, each pip costs you $5 only, which means that in case the price falls to 1.13145 your loss would be $135. This should be taken into account when making a trading decision and evaluating the potential risk of an adverse price fluctuation. How do I predict whether the price is going to rise or fall? 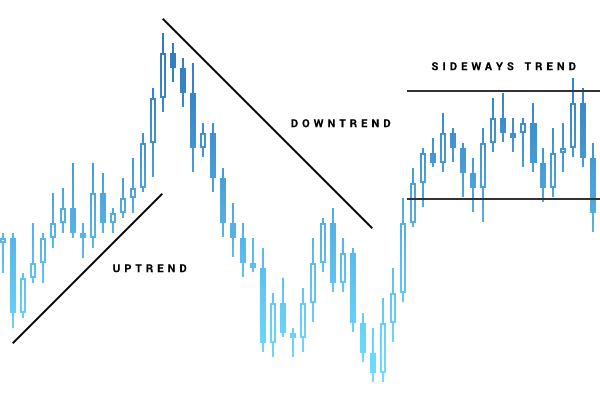 As a beginner you can simply track the general direction of the price on the chart and open buy orders when it goes up and sell orders when it goes down. This may not guarantee you profit in all cases, however it is a good start for developing your strategy. If you have little to no experience yet, it would be advisable to avoid trading during major news releases since the market tends to be highly volatile. Two more advanced methods of price prediction are technical analysis and fundamental analysis. Basic risk management techniques may also prove beneficial in reducing losses. There are many strategies that allow you to profit from currency price fluctuations, for example, scalping, martingale, hedging, news trading and many others. You can find a detailed description of the most common strategies here. Alternatively, you can use automated trading software that can help you in making trading decisions or even open and close positions for you. Your order profits fluctuate depending on the current market price until you close it. If you feel like you’ve gained substantial profit, open “Trade” tab in your MT4, find the open position, right-click it and select “Close order” from the context menu. There are certain concepts and terms that are essential to get familiar with. We’ve covered them in the “How to trade Forex” article. Please also feel free to explore our Education section, in order to expand your knowledge about the market in general and OctaFX services in particular. If you would like to practice risk-free, you can open a demo account, which has virtual funds only.